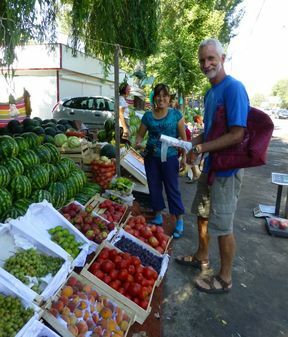 Guy doing the shopping in Bishkek. 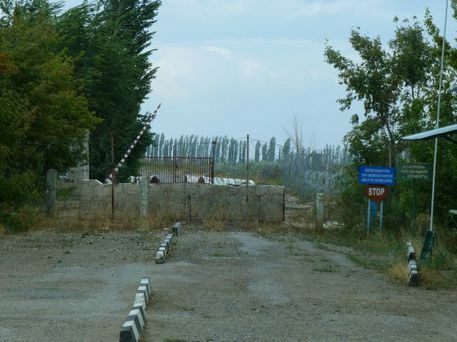 We arrived yesterday evening after a 1.5 hour border crossing and camped on the outskirts of Bishkek, the capital which is only just over the border. We changed $100, bought some groceries and headed for Issyk Kul, an alpine lake to the east. The lake never freezes due to thermal activity, its depth and slight salinity. It was certainly warmer than the streams feeding into it. Mobile clinic for Deb, Sandra and Paul. Your future on a pension. 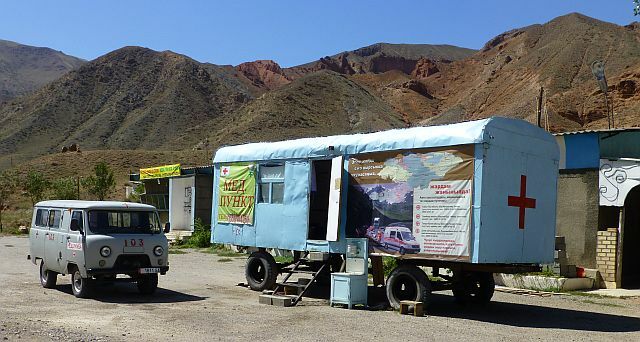 We passed this mobile clinic (hopefully it wasn't the bloodbank), then the dried fish stalls on our way to the lake. 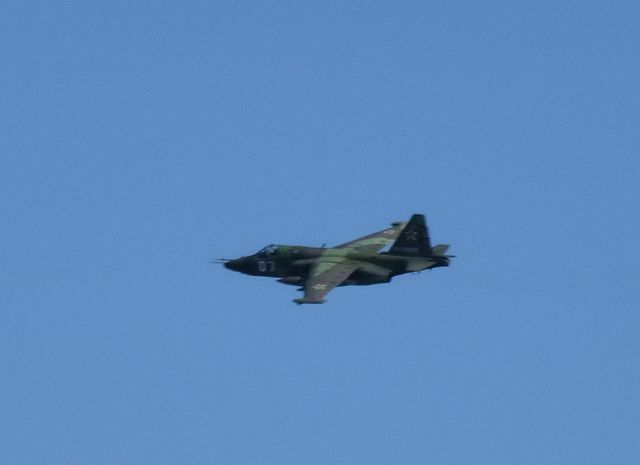 The Russians have an airbase not far from Bishkek and we were treated to some flying training in the afternoon and then live firing from a Frogfoot on dusk as we watched from our campsite. An old Lada 4WD stopped by our campsite in the evening and 8 people, mostly children, bundled out of it to come and say hello. Although we had no common language they invited us to their house a little further up the road. 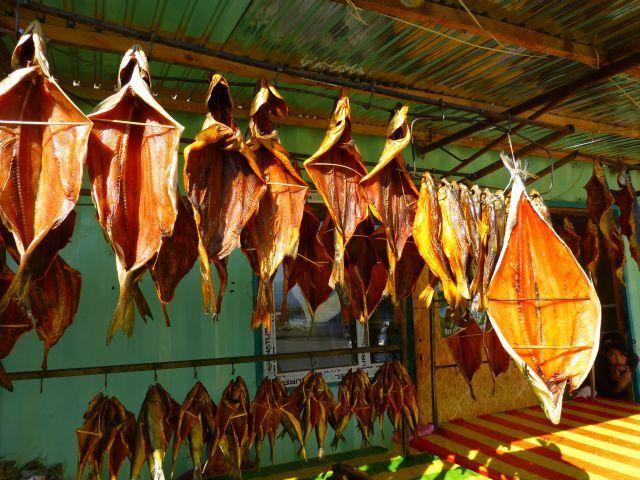 Dried fish but decided smoked fish may be a safer bet later on. Russian Frogfoot played around before returning in the evening to entertain us with some live firing! View across Issyk Kul to the snowcapped ranges. Also ideal for watching the live firing. We had decided to drive west to Suusamyr which took us through some wonderful scenery including a spectacular 30 km long narrow canyon with a fast flowing stream. Still not tired of scenery and neither is Guy. Not many cars on the road which was in reasonable condition. On our way from Suusamyr to Talas, we pulled over for morning tea next to a stream. 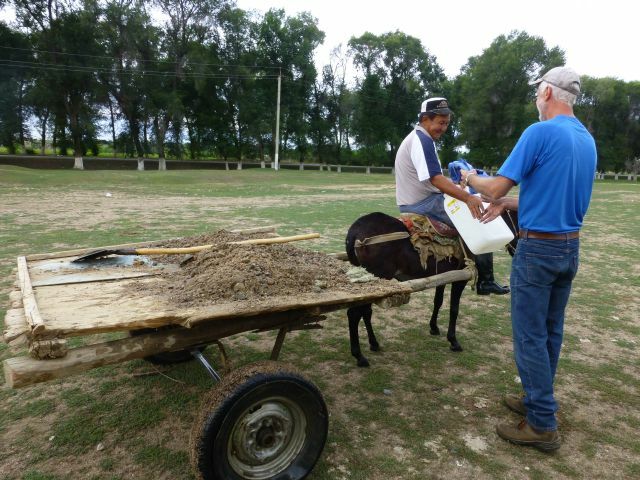 A man came down on his donkey cart to get some water from a spring right next to a stream before crossing the stream to get some gravel which he shoveled onto the cart. He was very friendly and showed as where the spring came out and indicated that the water from it was very good. Talked to him for a while before he went away with the gravel and returned to do the whole thing again. Guy gave him a jerry can we had not used for water for the whole trip and an old work shirt which he proudly put on before heading off on the cart. As we started to drive off he came running out from his house with a huge glass jar of pickles and a big smile. From Talas it was to Taraz in Kazakhstan. Unfortunately the border crossing had been changed since our map was printed and street signs were also incorrect. So we fumbled our way through a 10 km backroad diversion to the new crossing. We got over in just over an hour and a half although a Kyrgyzstan border control officer was seeking some inducement to speed things up. Just ignored it and it wasn't long anyway. We weren't going across this border. Our last minute decision to see Kyrgyzstan was a good one. Although we only saw the north we enjoyed it very much and found people to be very friendly and welcoming. We got a feel for the country and would like to see the south one day. 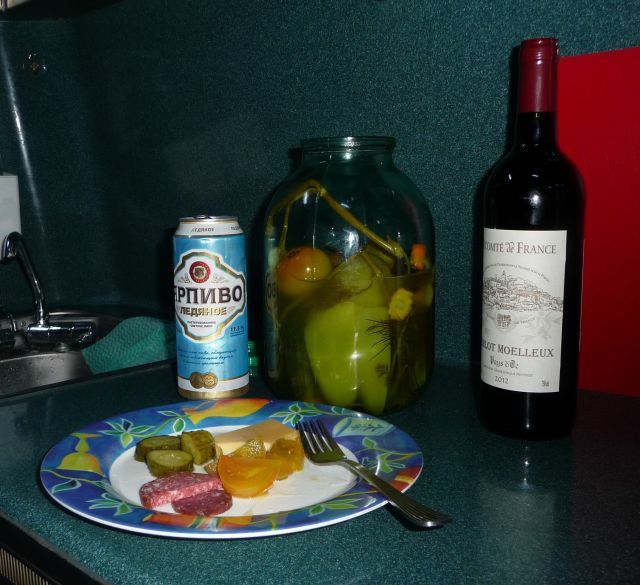 We are still to tackle the huge jar of pickles given to us by the gentleman that we gave the jerry can and shirt to. The big jar of pickles given to us by the man at the spring.